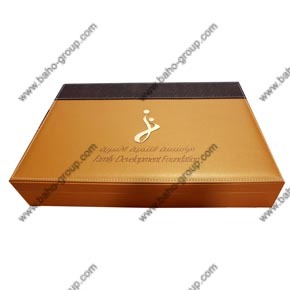 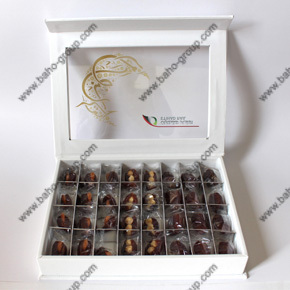 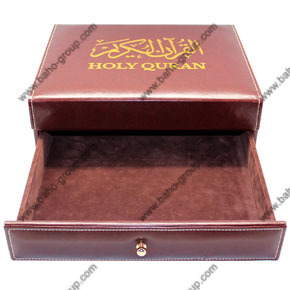 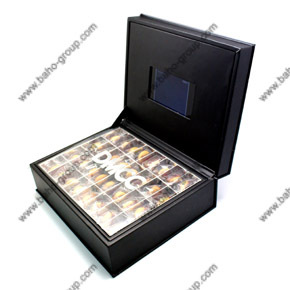 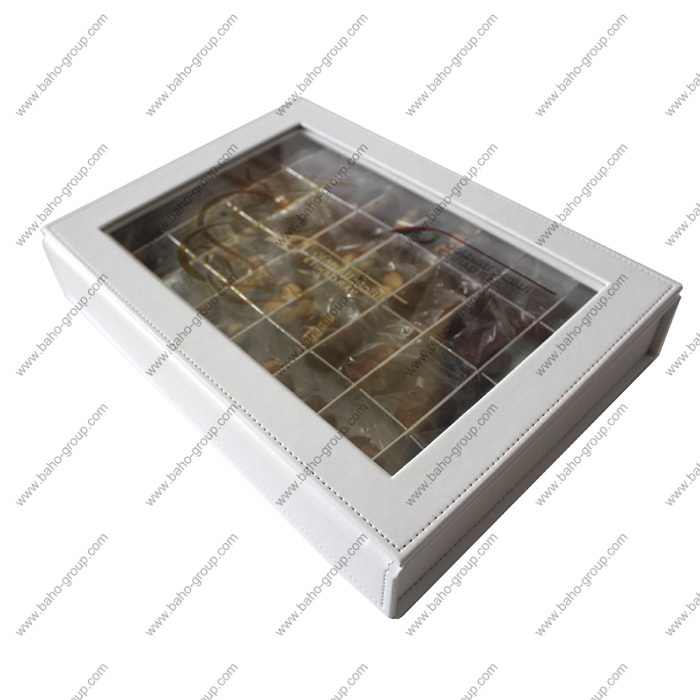 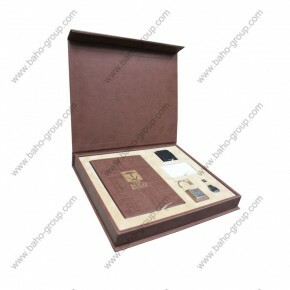 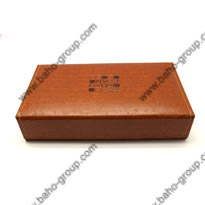 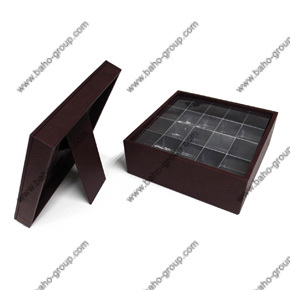 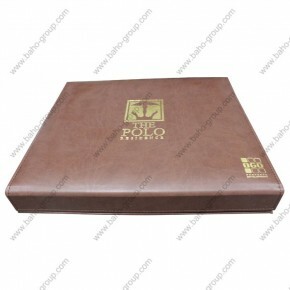 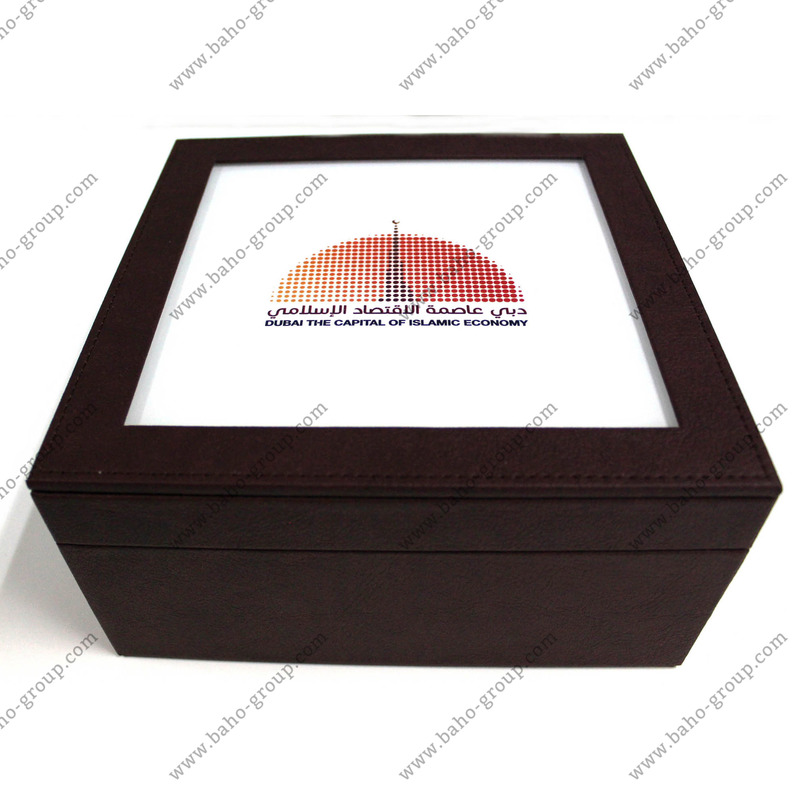 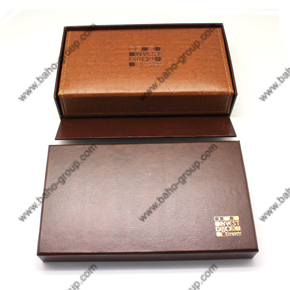 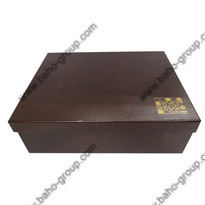 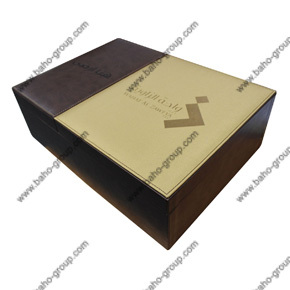 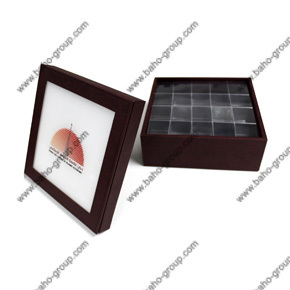 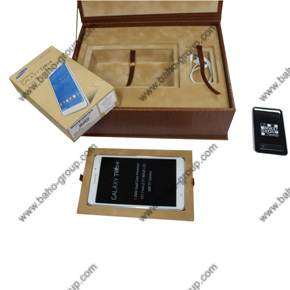 PU Brown Leather with velvet beige inside and Gold foil logo on top of the box. 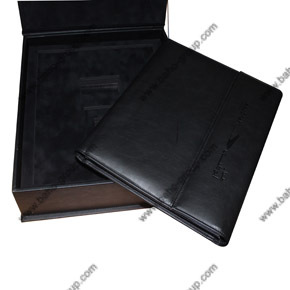 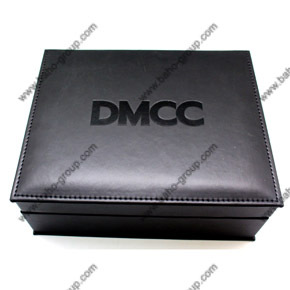 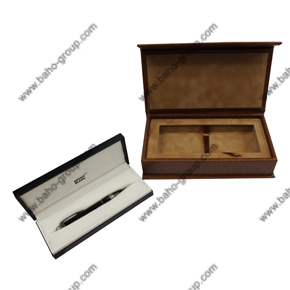 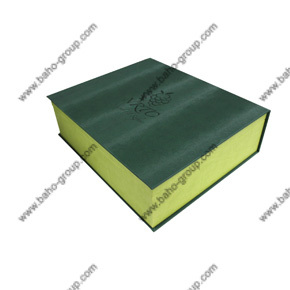 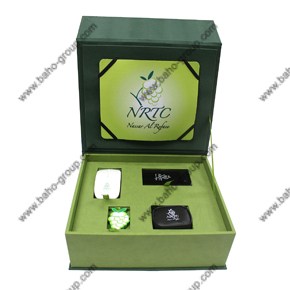 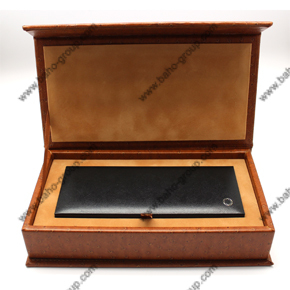 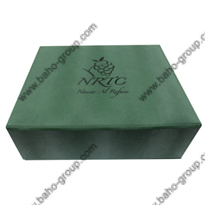 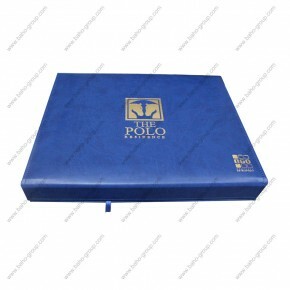 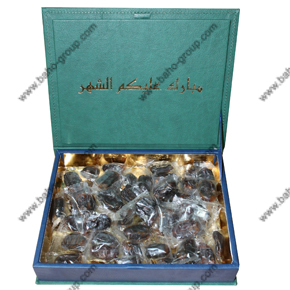 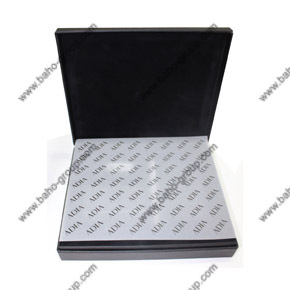 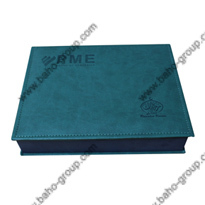 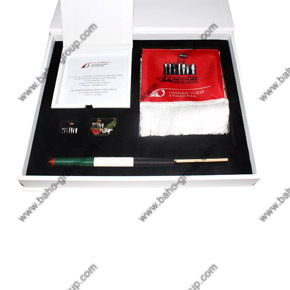 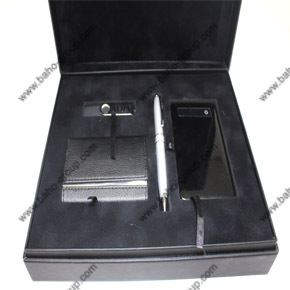 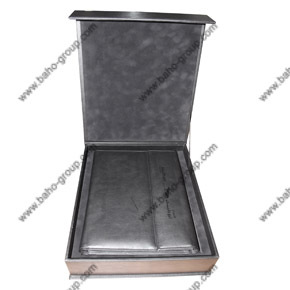 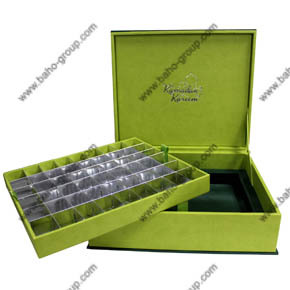 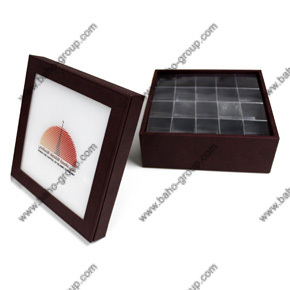 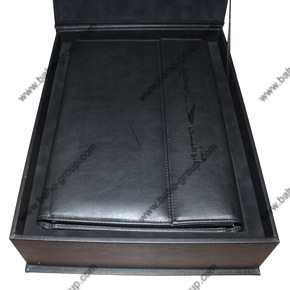 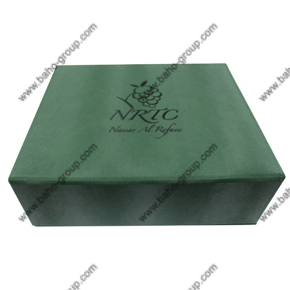 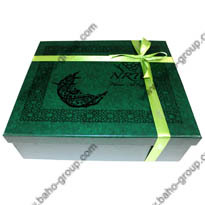 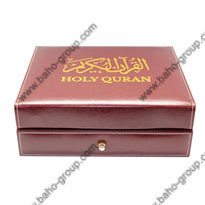 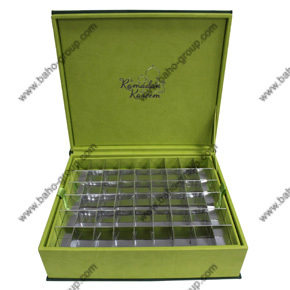 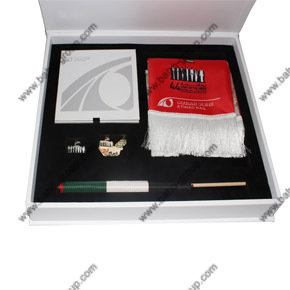 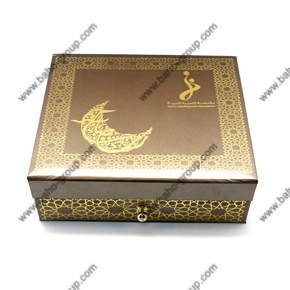 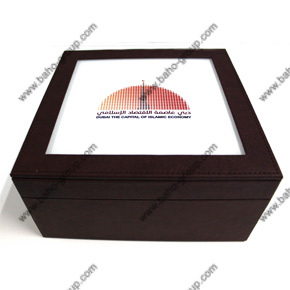 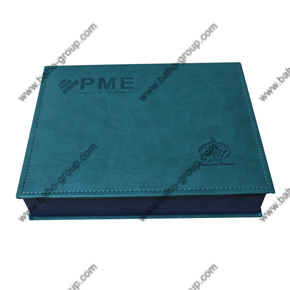 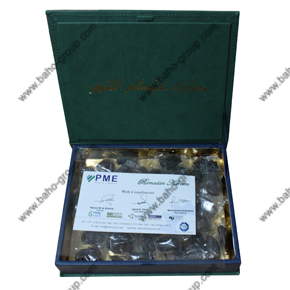 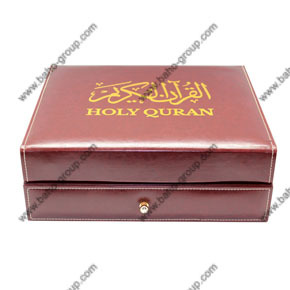 PU Leather Green Box with magnetic flap with logo embossed. 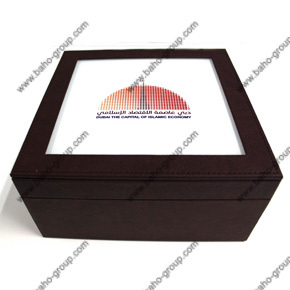 technology gifts inside. 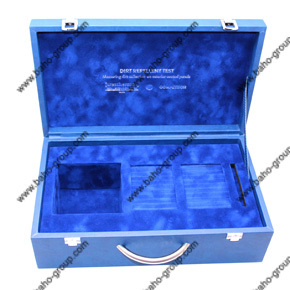 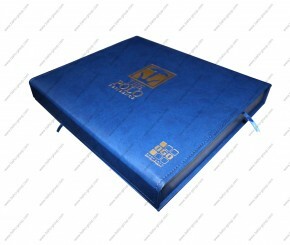 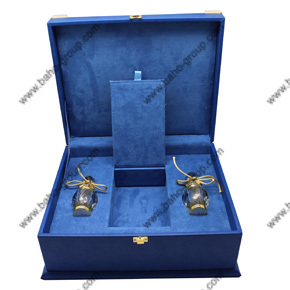 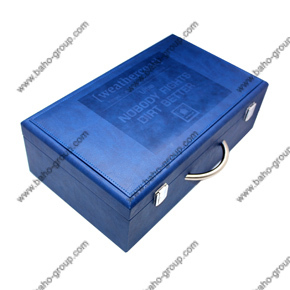 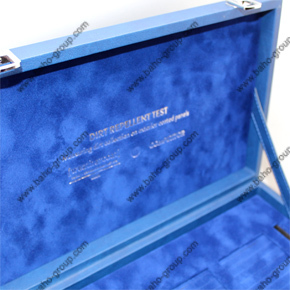 Blue PU Leather with gold metal corner and lock.